This is a remarkable before and after. Great example of cleaning and color restoration. 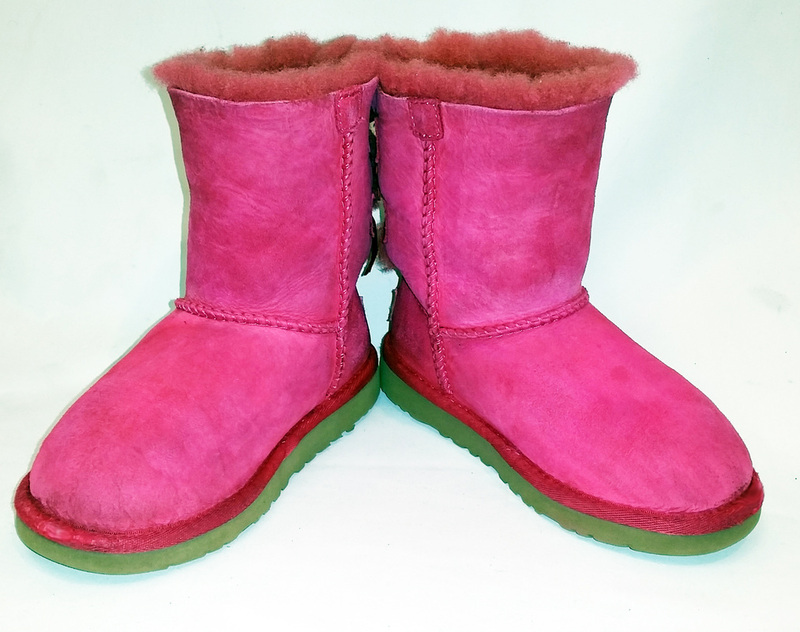 The left boot is before and the bright, vibrant boot on the right is the after. This pair of UGG’s were mildewed. Arrow made them new again. 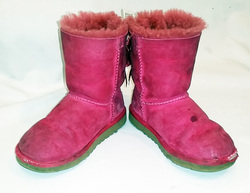 These UGGS were ugly from the elements and wear. 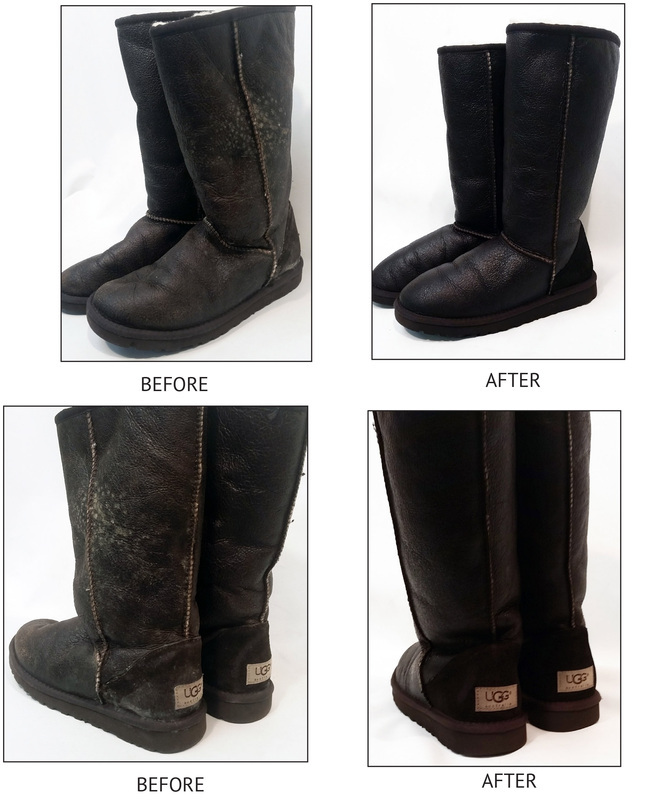 Arrow Leathercare did an amazing job cleaning and restoring this pair of UGGS! This pair of boots were dirty from use. Arrow did an incredible job cleaning and restoring this pair of leather boots. 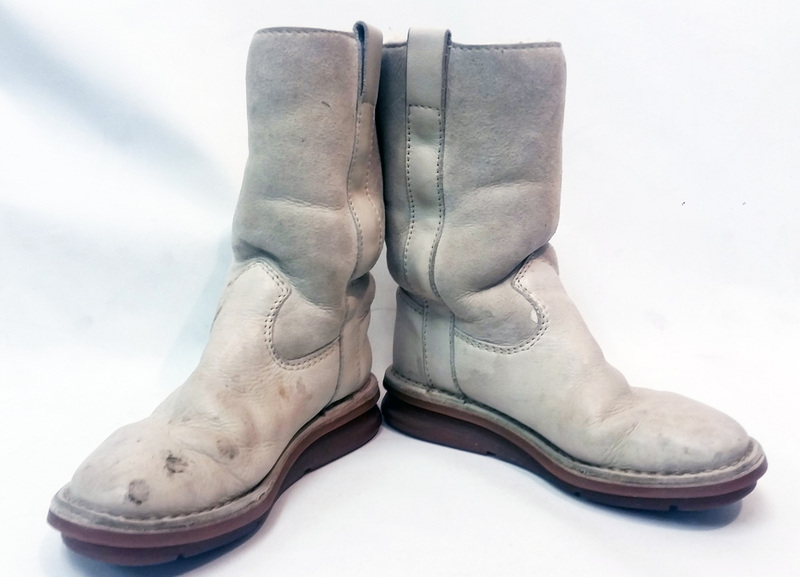 This pair of Sheepskin boots had become worn and dirty from use. Arrow cleaned and made new. 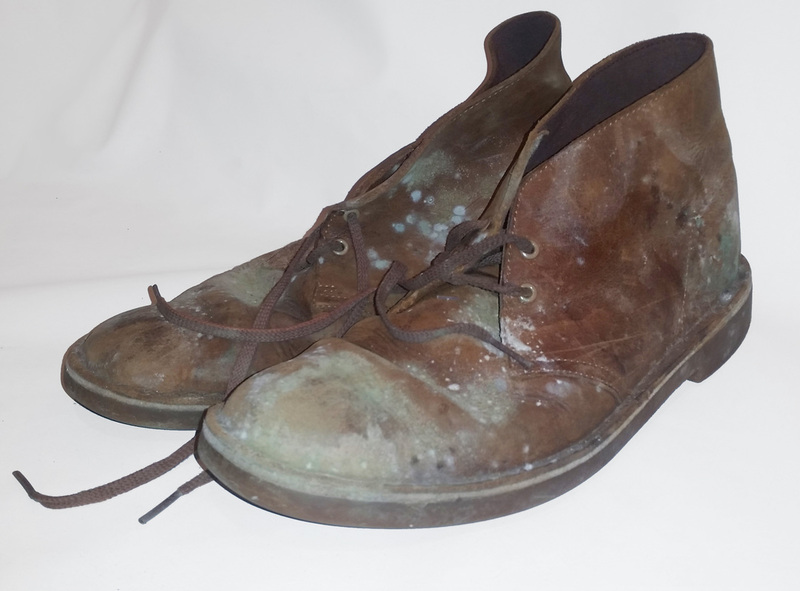 This pair of shoes was severely stained, scuffed, scratch and faded from use. Arrow did an amazing job bringing these back to life! INCREDIBLE!!! !